Fabulous and Brunette: Ghost Touch by LA Dragoni - Book Blast - Giveaway - Enter Daily! 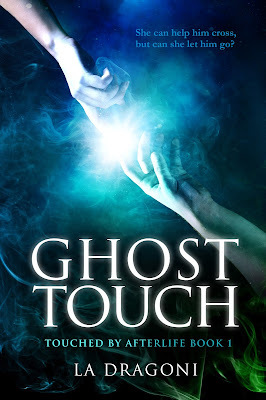 Ghost Touch by LA Dragoni - Book Blast - Giveaway - Enter Daily! Hello lovelies! It gives me great pleasure today to host LA Dragoni and her new book, “Ghost Touch”! For other stops on her Goddess Fish Promotions Book Tour, please click on the banner above or any of the images in this post. Be sure to make it to the end of this post to enter to win a $15 Amazon or Barnes and Noble Gift Card! Also, come back daily to interact with LA Dragoni and to increase your chances of winning! LA Dragoni will be awarding a $15 Amazon or Barnes and Noble Gift Card to a randomly drawn winner via Rafflecopter during the tour. Ally, I absolutely love the name of your blog! Thanks for sharing Ghost Touch with your readers. Good luck to those who enter.